Thanks to producers Eric Gunhus and Michael Apuzzo, you’ll want to put on your own dancing shoes after watching Friday’s amazing line-up of dance luminaries. 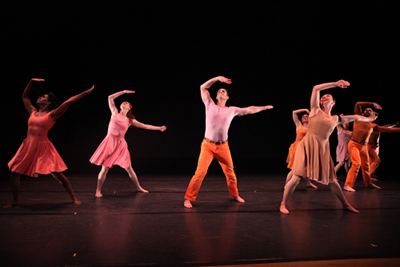 Starting at 7pm, a program of modern dance, contemporary dance and ballet featuring eight companies and 40 performers will take the stage in support of The Actors Fund. The evening of dance celebrates dancers who have devoted their lives to the wonder of movement and supports an important organization in the arts community, The Actors Fund. Headed by President and CEO Joseph Benincasa, The Actors Fund provides support and services for those in the performing arts and entertainment fields. The Actors Fund encompasses programs like The Friedman Health Center for the Performing Arts, the Phyllis Newman Women’s Health Initiative and more. All net proceeds from the evening’s event will go to The Actors Fund. Honorees for the evening are noted dancers and actresses Chita Rivera (Chicago, Kiss of the Spider Woman, Bye Bye Birdie, West Side Story, The Visit, Nine) and Bebe Neuwirth (Chicago, Dancin’, Sweet Charity). Performances scheduled include a special tribute by Broadway star Stephanie Pope (Chicago, Sweet Charity, Pippin) also the host for the evening, who will perform “All That Jazz” from Chicago, recognizing the roles played by Rivera (Velma) and Neuwirth (Velma, Roxie) in the musical. 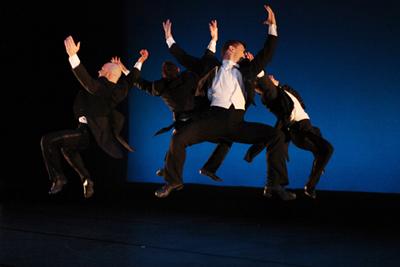 Dance companies on the program are Martha Graham Dance Company, Paul Taylor Dance Company, Rock the Ballet, Amy Marshall Dance Company, Carolyn Dorfman Dance, Eryc Taylor Dance and Pam Tanowitz Dance. VIP level ticketholders are invited to attend the post-performance cocktail reception and mingle with the stars. Eric Gunhus, a former Broadway performer, created the first Dancers For Good event in 2016 along with dancer Michael Apuzzo of the Paul Taylor Dance Company as a showcase for some of the most prestigious companies and individuals in the dance world. Why East Hampton? “East Hampton was a natural choice with a beautiful theater like Guild Hall,” Gunhus replied. “And we felt The Hamptons was craving a unique event of this nature. Where else out East can you see a world-class showcase of dance with celebrity hosts and guests and endless cocktails at a charity event to support a vital organization?” It’s a beautiful setting for a beautiful evening of artistry. Amen, Eric. I couldn’t agree more. Guild Hall, 158 Main Street, East Hampton. Tickets are $150 and $250 (VIP) and can be purchased here. This entry was posted on Tuesday, July 17th, 2018 at 9:25 am	and is filed under Stuff to Do. You can follow any responses to this entry through the RSS 2.0 feed. You can leave a response, or trackback from your own site.